The track was recorded simply in one take on my Faith acoustic guitar, using condenser mics and an ambient room mic to record in the Galilee Chapel, home to an extraordinary collection of Celtic Stones. Back in the studio producer Kevs Ford has added a subtle touch of ambient keys and classical guitar to the mix. I wrote the track a few years ago as I was tumbling into mid winter melancholy on my old friend, the folk guitar that hangs on the kitchen wall. I welcomed the opportunity to perform it shortly after accompanied by Kevs & Andy at The Welsh Mental Health Arts Festival at Wales Millennium Centre Cardiff in November 2016, so its taken a while to record a version. If you need support now call Samaritans on 116 123. The St Illtud’s Sessions are an ongoing project which we hope to keep exploring and developing, we are listening back in the studio our field recordings and hope to have enough material for an EP. The project evolved from playing at the monthly open mic at St Illtud’s and creative conversations with music enthusiast Canon Edwin Counsell and musician-producer Kevs Ford. Kevs and I started our musical journey together a few years ago when we recorded my song ‘Our Places’ live by the River Ely in Cardiff. The St Illtud’s Session have been a great opportunity for us to get back to where we first started and explore ideas and sounds in situ. Our field recordings from this ancient space will not be perfect but will hopefully capture in someway the essence of this sacred place. My warmest thanks are given to the St Illtud’s community who have encouraged my music and helped make this project possible. There is a great wealth of talent and sharing of creativity at the Open Mic which runs on the first Friday of each month, run by Peter Cronin and friends. There is much to be discovered at the ancient site of St Illtud’s and the surrounding area of Llantwit Major. I look forward to what will be revealed next on this creative journey and I hope dear reader you will check in along the way. Thank you so much everyone for the lovely feedback, shares and plays of ‘In The Shadowland’ The St Illtuds’s Sessions. This is the first track from The St Illtud’s Sessions, a project that evolved from playing at the monthly open mic at St Illtud’s. I am accompanied by Llantwit musician Peter Rosser on guitar, in a live performance of the song. This project is close to my heart and I very much appreciate the touching comments and plays from local radio stations. Thanks so much for your support. Kane on The Local Music Show on Bro Radio 98.1 fm and available on listen again. Every thursday night from 7pm on Bro Radio for the Local Music Show. Kevs and I are listening back to our field recordings from this remarkable place and hope to have enough material for an EP to be released in the early spring. 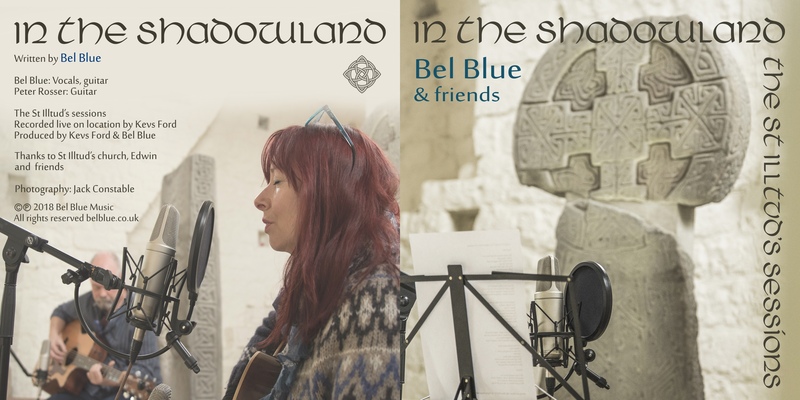 In The Shadowland’ Live – The St Illtud’s Sessions is available to listen, stream and download from Bandcamp and Soundcloud. It gives me great pleasure to share ‘In The ShadowLand’ from The St Illtud’s Sessions, recorded live on location. I have a growing interest in field recordings, so when the opportunity to record at the remarkable St Illtud’s Church in Llantwit Major came along , I welcomed it with open arms. The project evolved from visits to St Illtuds, playing at the monthly open mic there and creative conversations with music enthusiast Canon Edwin Counsell and musician-producer Kevs Ford. We kept the set up and the tracks simple, using condenser mics and an ambient room mic for live recording, in the extraordinary Galilee Chapel, home to an incredible collection of Celtic Stones. On ‘In The Shadowland’ Peter Rosser accompanies me beautifully on acoustic guitar. Recording at St Illtuds, has really meant a great deal to me, as I feel a deep sense of connection to Llanilltud Fwar. I wasn’t aware until I played the song to a friend that it echoed a line from the exquisite “Ode to a Nightingale” by John Keats, inspired by the song of a nightingale, it was written in 1819, and has it’s centenary in 2019. The poem must have been in my subconscious when I was writing. After our first day of recording I wrote a short tone poem, a site specific composition called ‘ Living Stones’. To help me gain a better sense of the space, in the summer I spent an afternoon sitting amongst the ancient Celtic stones in The Galilee Chapel, sketching The Houelt cross, listening to the sounds in and around the building. The St Illtud’s Sessions are an ongoing project which we hope to keep exploring and developing. We are listening back in the studio our field recordings and hope to have enough material for an EP. 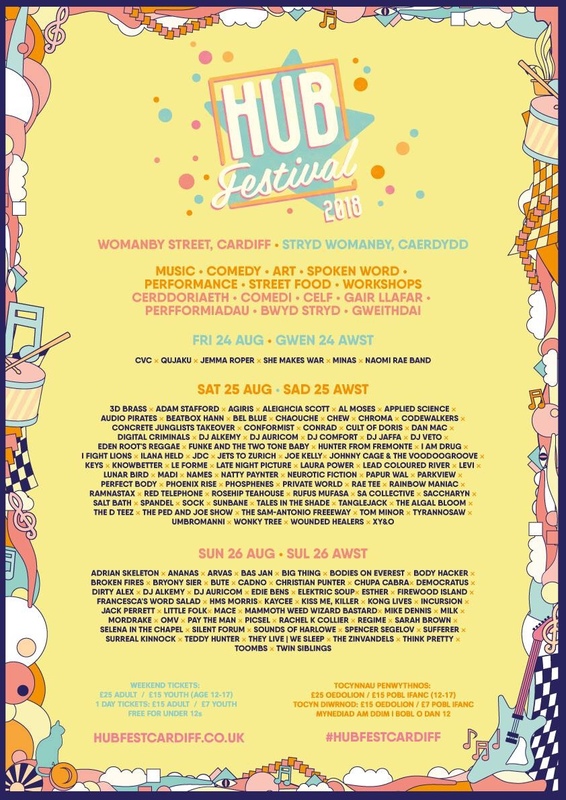 Lovely to have a track included in this fab playlist for the #Hubfest 2018. Its been two years since the release of ‘Our Places’ my debut album and I finally had a go at making a wee video using original video footage from the recording of ‘Wild Dog Rose’. Its all made in an imovie app, and I have done my best to sync the footage where I can. It features Pearl River the little Welsh portable harmonium, that we had here on loan from Kevs Ford. Oh and asked for some grace place. and remember who we are. It was dreamy to sing as the sunset over Cardiff Bay, loved playing music with Rufus Mufasa and Kevs Ford at The Look Out Cafe Bar. A beautiful setting to perform our freshly workshopped collaboration material, a fusion of acoustic folk jazz hip hop. Thanks to host Alix Edwards for the fabulous evening, inviting us to play, and this atmospheric photo, at her Company Of Words Summer Sizzler. The night included a reading from guest poet Rhys Milsom, and fabulous open mic of poetry and song. It’s lovely to be invited along to share my songs at Cardiff’s Company of Words summer special open air, open mic event. Taking place in beautiful Cardiff Bay at The Look Out Cafe Bar, July 25th 6-9pm. Set up by the vibrant Alix Edwards, visual artist and writer, the night promises a sizzling array of guest performances and Open Mic Performance, poetry, song, prose. Guest performers for the night are the amazing Welsh Hip Hop literary artist Rufus Mufasa, myself Bel Blue-Singer-Songwriter and Poet Rhys Milsom. Rufus Mufasa and myself will be joining forces to perform a recently workshopped collaboration. Great to be included in Mind Your Head Radio’s – Show 6 Part 1 all Female/Women Artists. Thanks to Chas (aka Captain Paranoid ) who gave an exclusive play to an acoustic version of my ‘White Poppies’ song, recorded for a video soundtrack, of banner making for Processions 2018 Cardiff. Part 1 of Women Artists on Mind Your Head Radio also included tracks from Patti Smith, Lucinda Williams and more – Chas is also giving air time and support to local Wales based musicians and emerging talent- Holidays in The Mind, Rufus Mufasa Gwenifer Raymond, Sarah McCreadie and more. It was an incredible day at Processions 2018 Cardiff and an honour to have ‘White Poppies’ used in the soundtrack to the banner making. Below is a photo of the banner – made by Inroads Stitch Group ( Mel Hobday ) and myself at Processions 2018, amazing women, amazing day. Thanks Cardiff Music Women for including my song ‘Wild Dog Rose’ on Playlist Two of CARDIFF MUSIC WOMEN on Soundcloud. Cardiff Music Women is a project by non-profit organisation Creative Republic of Cardiff, who also run live music venue The Moon. Currently only 16% of UK songwriters are women and only 5% of the audio industry are women, Cardiff Music Women aims to help get (and keep) more women and non-binary people into our local music industry in Cardiff & surrounding areas. What an inspiring night to listen and play at the second International Women’s Days Event at The Moon Cardiff, hosted by the fabulous Ffion Wyn and brought to us by Creative Republic of Cardiff. To celebrate IWD2018 I was joined by Philipa Iriving on vocals, we sang afew sonsg and a version of my new song ‘Brave and Fearless Love’. I also put Healing Poet Fran Smith’s poem ‘Peace One Day’ to music, and she joined us to perform. It was a special gig, and my family came along to support us. Thanks to everyone who came along to celebrate and to the organisers for inviting me to play and to Anna for taking photos. All content © Bel Blue 2016. All rights reserved.